Channel 5 is to offer content from another broadcaster for the first time on its on-demand service My5. Programmes from A+E Networks UK's Blaze TV channel will now feature on the service, in what Channel 5 owner Viacom says is part of its aim "to grow viewing beyond broadcast, building on the reach of My5 as the most widely available commercial broadcaster on-demand platform and providing additional depth and breadth of content across genres." 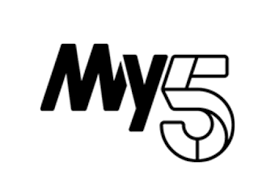 My5 - originally called Demand 5 - is the VOD home to all of Channel 5's family of channels. My5 also contains exclusive programmes including the recently acquired series Wonderland and the forthcoming East Los High. Today's announcement is the start of My5 becoming a wider destination for various commercial outlets. The news comes just days after an aggressive bid to move up the Freeview EPG, through the creation and acquisition of a holding company giving access to the Community Channel's former Freeview slot.